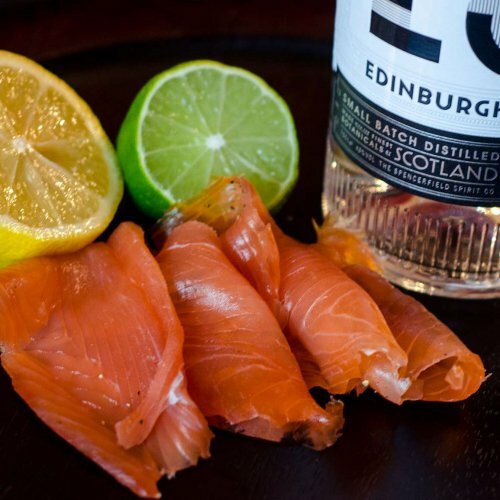 Juniper Berries and artisan gin from Scotland is added to our secret cure mix to produce our popular gin-cured smoked salmon. 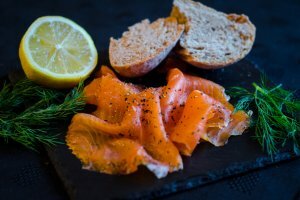 Using only the finest Hebridean salmon, this superior product is available to buy in our own deli in 200gms packs (£10). 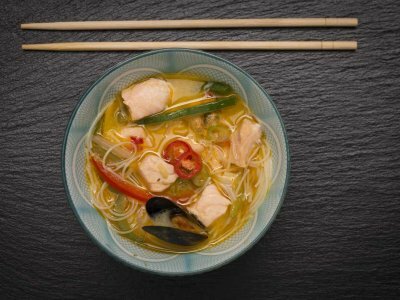 You will also find it on the menus in some of Scotland's finest establishments including Gleneagles Hotel Strathearn Restaurant.